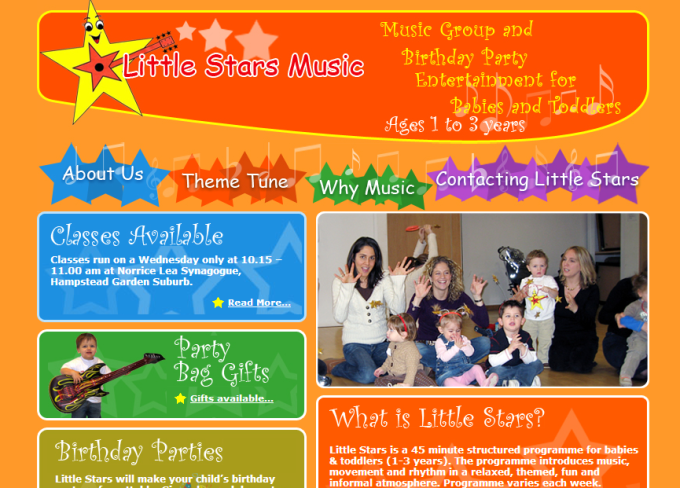 Little Stars is a 45 minute structured programme for babies & toddlers (1-3 years). They wanted something that expressed the fun of the classes and we have delivered that. The site is clean at the same time of provide a colourful user experience.